Experienced Olympic campaginers Tina Mrak/Veronika Macarol from Slovenia announced their Tokyo 2020 Olympic plans at a press conference on Friday 13 January 2017. Slovenian 470 Olympic Sailing Team Tina Mrak and Veronika Macarol held a press conference and unveiled their goals and plans leading them from Rio to Tokyo. Top Slovenian sailors finished sixth at Rio Olympic Games. 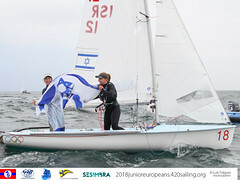 After taking a few months off, they are returning to Olympic sailing with the final target set at the Olympic Games in Tokyo 2020. Reflecting on Rio 20167, Veronika Macarol commented, “In Rio we sailed very well in all situations and were always near the top. In the Medal Race we started very motivated after losing a protest, sailed very passionately and fought from start to finish. We have learned a lot in Rio and I think we already knew back then that we will continue our journey." Tina Mrak and Veronika Macarol have also expanded their team for the next Olympic campaign. In addition to coach Tomaž Čopi they will continue to work with Peter Kunc, who joined them just before the Olympics and is responsible for physiological preparation. Andrej Kocjan and Iztok Butinar will take care of physical fitness and physiotherapist Miriam Ivančič for regeneration and injury prevention. Cold winter months in Slovenia are devoted to physical preparation; the first training on the water is planned in February. At the end of March, the team will travel to Mallorca for the Trofeo S.A.R. 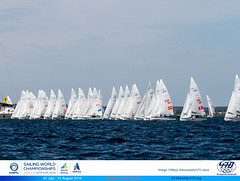 Princesa Sofía, followed by the Sailing World Cup Hyeres in April. Their season will continue with the 470 European Championships in Monaco. 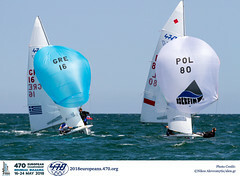 The main goal of the season is to reach for the podium at 470 World Championship in Thessaloniki, Greece. At the end of October they are planning to sail at Enoshima Olympic Week testing the venue of the Olympic Games in Tokyo in 2020.